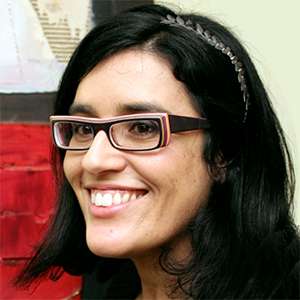 Paula Barreiro López (1977, Vigo) has a PhD in Art History by the Universidad Complutense (2007). In 2001 she receives his MA in Art History (First Prize of Art History Studies in Spain) in 2001 and in 2006 her Degree in Diplôme Spéciale de Muséologie by the École du Louvre. From 2007 she has worked in several European research institutions and universities like Institut National d´Histoire de l´Art (Paris), the University of Liverpool, the University of Geneva as well as Spanish ones, like Instituto de Historia of the CSIC and the Universidad de Salamanca. From 2013 she is research associated at the Equipe d´Accueil Histoire et critique des Arts of the Université de Rennes 2 (France). She is lecturer at the Art History Department of the University of Barcelona (Ramón y Cajal programme). Her recent researches focussed on the art criticism, cultural networks and politics in Spain, Western Europe and Latin America during the Cold War, interested in the multiples developments of modernity within a globalised world. Her las publications analysed the critical discourses from the Cold War to the globalisation (Crítica(s) de arte: discrepancias e hibridaciones de la Guerra Fría a la globalización, Cendeac 2014); the relation between Picasso and the Spanish artistic and political culture of Late Francoism (“Classified files: Picasso, the regime and the avant-garde in Francoist Spain”, en Jonathan Harris (Ed. ), Picasso and the Politics of Representation during the Cold War, Liverpool University Press, 2013), the presence of globalised forces in the art of the 20th century art (“Globalization and Art in the Twentieth Century”, Third Text, 2013), the exchanges between the neo-avant-garde and mass culture during the 1960´s (“Arte, cultura de masas y medios de comunicación en el segundo franquismo”, Gil, Fátima, Mateos, Javier (Ed. ), Qué cosas vimos con Franco. Cine, prensa y televisión de 1939 a 1975, Madrid, Rialp, 2012), the role of the Spanish, French and Italian art critics Aguilera Cerni, Restany and Argan during the 1963 San Marino Biennial (“La Biennale di San Marino et le convegno di Rimini de 1963: Argan, Restany et Aguilera Cerni vers un art engagé”, Leeman, Richard (dir. ), Le demi-siècle de Pierre Restany, París, Institut Nationale d´Histoire de l´Art/Editions des Cendres, 2009) and the geometrical abstract movements in Spain (La abstracción geométrica en España 1957-1969 (Madrid, CSIC, 2009); Arte normativo español. Procesos y principios para la creación de un movimiento (Madrid, CSIC, 2006). About this last topic she has curated several exhibition, the latest Laboratorio de Formas. José María de Labra y la integración de las Artes (Fundación Jorge Oteiza, 2013). At the momento she is finishing a book Constructing an avant-garde: art, politics and cultural interchange during Spanish late Francoism. She has been invited to give lectures in Europe and the USA (for example Tate Modern in London, Winchester School of Arts, el INHA in Paris, Heidelberg University, Haus der Kunst in Munich, CAA in New Yorks) and to join part of several editorial boards (Critique d´Art, CSIC). She is as well member of the Scientific and Cultural Committee of the Archives de la Critique d´Art. Se has organized panels, congresses and symposiums in Paris, Liverpool, Winchester and Madrid. Amongst them it could be mentionned Vicente Aguilera Cerni et la “cultura artística” espagnole pendant le franquisme (INHA, May, 2010), International Workshop of Art Criticism: Discrepant Accounts (CSIC-UCLM 2011(; Encuentros trasatlánticos: discursos vanguardistas en España y Latinoamérica (Museo Reina Sofía, July, 2013. Coorganized with Fabiola Martínez, Jesús Carrillo and Gabriel Pérez Barreiro). She has been part of several funded research projects and she is the head researcher of “Decentralised Modernities: Art, Politics and Counterculture in the Trasatlantic Axis during the Cold War” (HAR2014-53834-P).